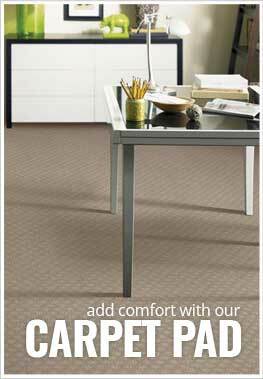 Description - Soft, plush, and durable are the words used to describe Mohawk's Ideal Match carpet. Made from Wear-Dated® SoftTouch, this broadloom carpet is one of the softest nylon broadloom carpets on the market today. Resistant to staining, soiling, and pet urine, this carpet is the perfect 'life proof' floor for any family on the go. Providing warmth and comfort where installed, this carpet will make you think twice about purchasing a hard surface floor like vinyl, wood, or stone. With over 30 years of proven durability and a lifetime warranty proves why over 14 million homes have this carpeting installed. Material - Wear-Dated® SoftTouch™ nylon. Recommended Uses - Mohawk Ideal Match is the perfect floor for any room in your home and is commonly installed as flooring in bedrooms, living rooms, dining rooms, family rooms, basements, as home office flooring, in churches, as spare room flooring and much more. Installed in over 14 million homes. One of the softest nylon carpet on the market.